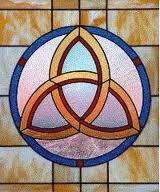 Trinity is the term by which is expressed the Christian belief that there are three persons in one God. Christian doctrine holds that a) there is only one God, one divine nature and being. b) This one divine being is tripersonal, that is, three persons in one God, designated as God the Father, God the Son, and God the Holy Spirit. c) These three persons are joint partakers of the identical nature and majesty of God. While this doctrine is a preeminent mystery of revelation, the believed revealed nature of God, transcending human or finite comprehension, it is considered essential to the understanding of the scriptures. Even though the Trinity doctrine is implicit rather than explicit in the Old Testament, it is believe that with the accompanying knowledge of the New Testament, evidence of the Trinity can be found in the Old Testament (e. g., Numbers 6:24-26; Isaiah 6:3; 63:9, 10 the sanctity of the symbolical number three-the plural form of Elohim, also places in which the deity is spoken of as conversing with himself). This is thought to be in accordance with the gradual development of revealed truths in other particulars. However, the Hebrew religion of the Old Testament is emphatically monotheistic; a principle reason for this is thought to have been that such religious rigidity was that it provided a safeguard against polytheism. The following Biblical passages are examples of the deity conversing with himself: “And God said, ‘Let us make man in our image, after our likeness'” (Genesis 1:26). “And the Lord God said, ‘Behold, the man is become as one of us, to know good and evil; and now, lest he put forth his hand, and take also of the tree of life, and eat, and live forever” (Genesis 3:22).From these passages it is believed in Christianity the God was talking to the other two persons within the Trinity. The comprehension of the doctrine is extremely complex, but the basis for the concept of three persons in one God lies in the inner nature of the Godhead; each of the three persons, Father, Son, and Holy Spirit, although separate but equal share the nature of the Godhead. Each of these separate but equal persons of the Trinity has a unique function as Jesus alludes to: “And I will pray the Father, and he shall give you another Comforter, that he may abide with you forever” (John 14:16). Jesus had elaborated on the distinct functions of each person: “For as the Father raised up the dead and give them life, even so the Son gives life to whom he will; for the father judges no man, but has committed that all judgment unto the Son” (John 5:21-33). “But if the Spirit of him that raised Jesus from the dead dwells in you, he that raised Christ from the dead shall also give life to your mortal bodies by his Spirit that dwells in you” (Romans 8:11). Western thought, however, appears to have taken a reversed approach in its study of the Trinity; it begins with the unity of the Godhead and attempts to understand its threeness. Augustine’s contribution, influenced by the scholastics, described it in terms of relations: in his best-known analogy, the Father, the lover, the Son, the loved one, and the Holy Spirit: the love between them. Also, in the traditional debate with the East, Western dogma states proceeds from the Father and the Son in order to insist on the equality of the Persons. Some modern scholars acknowledge the Trinity argument between the East and West by recognizing the complexity of its mystery may be so great that both arguments may not be incompatible: the doctrine of the Trinity is a necessary consequence of Christology, and takes seriously the necessity for interrelation in the formation of all appearance or unity. Therefore, the current patristic model or concept of the Trinity has developed: three distinct realities, inseparably requiring each other to be the sort of reality that they are, and therefore also only one reality. A.G.H.